Race fans get double the action with the Harley-Davidson Williams Grove Half-Mile during the day and the Tuscarora 50 at Port Royal Speedway at night. AFT Events to offer $5 off coupon to Port Royal ticket holders. DAYTONA BEACH, Fla. (JUNE 8, 2017) – On September 9, race fans in Pennsylvania will get the rare opportunity to catch the world’s best dirt track racers – on two wheels and four – thanks to a collaborative effort between American Flat Track and Port Royal Speedway. With both events on the same day, the Harley-Davidson Williams Grove Half-Mile has changed to a day program to allow fans to experience American Flat Track before making the drive to the 50th Annual Arctic Cat All Star Tuscarora 50 at Port Royal Speedway. To sweeten the deal, AFT Events, promoter of the American Flat Track round, will be offering a $5 off coupon for the Harley-Davidson Williams Grove Half-Mile to fans that have purchased tickets for the event at Port Royal Speedway. Similarly, Port Royal Speedway was happy to be able to work with American Flat Track to come up with the best solution for the fans. “It’s really great to work together with AFT to come up with a solution for the fans so that they can enjoy two great events,” said Steve O’Neal, Port Royal Speedway Promoter/Race Director. Both events mark special significance for their respective sport. 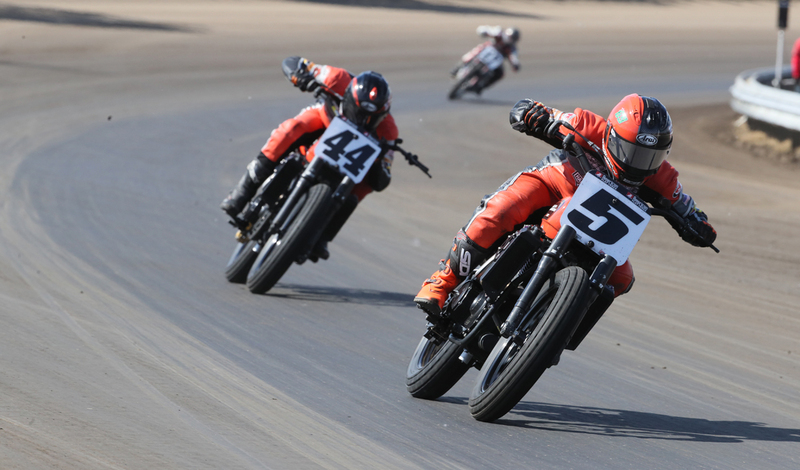 American Flat Track returns to Mechanicsburg, Pennsylvania for the first time since 1994. It will be the first home race for many of AFT’s top riders, as the Keystone State has been one of the sport’s hotbeds of talent. On the four-wheel side, the Arctic Cat All Star Tuscarora 50 will mark the 50th running of the event and include the highest-paying purse to date at Port Royal Speedway – around $100,000 up for grabs with $50,000 to win on Saturday. Opening Ceremonies starts at 2:00 p.m. ET (11:00 a.m. PT) with the Heat races following at 2:30 p.m. ET (11:30 a.m. PT). The AFT Singles Main is scheduled for 5:05 p.m. ET (2:05 p.m. PT) and AFT Twins at 5:40 p.m. ET (2:40 p.m. PT), allowing plenty of time for fans to make the trek from Mechanicsburg to Port Royal for one of the biggest Sprint Car events in the region. Time trials for the Tuscarora 50 begin at 7:00 p.m.ET (4:00 p.m. PT). Tickets for the Harley-Davidson Williams Grove Half-Mile are now on sale and can be purchased at https://www.showclix.com/event/williams-grove-half-mile. Kids 12 and under are free with an adult paid admission. Military and first responders get 50 percent off general admission. This entry was posted in Dirt Track, Events, Global News, Moto, Motorsports, National News by admin. Bookmark the permalink.